December 2010, I weighed almost 300 pounds and our beagles did not fit between my husband Chad and I on the couch! As a commitment to ourselves, marriage and health we started running at our local gym. April 2011, I ran my first 5K and it was the longest 48 minutes of my life! October 2012 after completing 1 half marathon and watching our run coach complete the Twin Cities Marathon, I decided I wanted to run a full. In October 2013, I ran the Twin Cities Marathon and was a featured runner for Twin Cities in Motion, I was highlighted in Minnesota Monthly with 7 other runners. 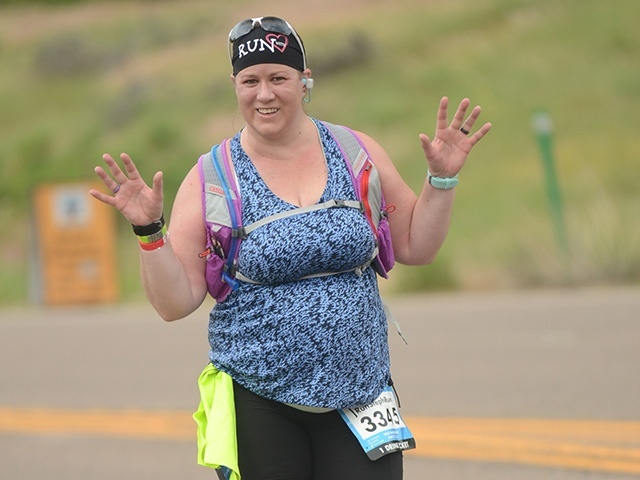 6 years and 80 pounds later – I have completed numerous 5K’s and 10K’s, 13 – half marathons, and 4 – marathons. It is peaceful to run 26.2 miles in 5:30 hours! From my weight loss/running story, I have 7 media pieces highlighting my change in lifestyle and accomplishments. Today, I continue running, participate in Crossfit and adapted the Paleo lifestyle. I am an avid skier and starting to bike. How else Stephanie REVELs: Stephanie partipates in Crossfit, the Paleo lifestyle, walking her three beagles, riding fat bikes and hiking in our new home state of Colorado and starting to venture in climbing 14ers!